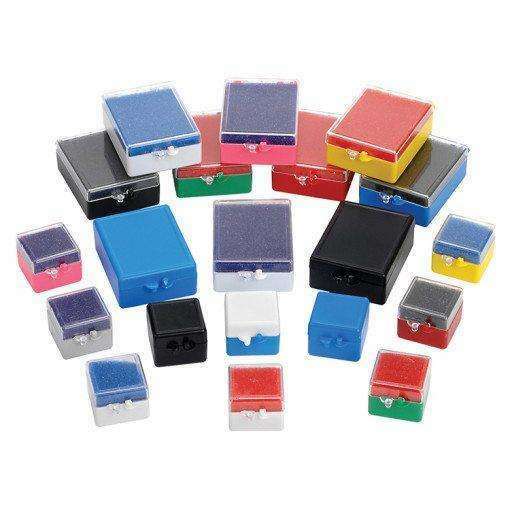 Boxes and Fillers for Crown and Bridge - Lab Depot ltd.
Our 1″ and 2″ Rigid Crown & Bridge Boxes are available in a wide variety of colors. For optimal protection use two fillers to protect the rigid box’s contents. Available either plain or custom imprinting. These are a great way to package valuable and important dental appliances. 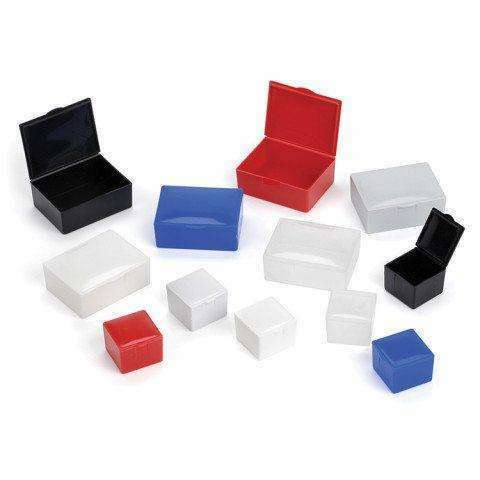 These 1″ Flexible Crown & Bridge Boxes are made of flexible polypropylene material that will not break. The box is ideal for dental laboratories, which ship crown and bridge work to dentists. The boxes have a positive lock-in mechanism and resist cave-ins to safeguard contents. On a 1″ (25.4 mm) in size box there is room for a name and phone number. On a 2″ (50.8 mm) size box there’s enough room for the name, address and phone number. Logos can also be printed, but you must mail or email a black and white original version of the logo. We have a variety of print colors, although, we recommend gold or black. We also can accommodate various fonts. Imprinting colors: White, Teal, Gray, Red, Peach, Maroon, Yellow, Pink, Black, Orange, Brown, Blue, Green, Purple, Aqua, Gold, Silver.